There are many gravestone symbols that seem to be ubiquitous—the lamb is one of them. Walk into nearly any American graveyard and you will find tiny little lambs marking the graves of mostly children. The lamb symbols come in many sizes and positions—often sleeping. 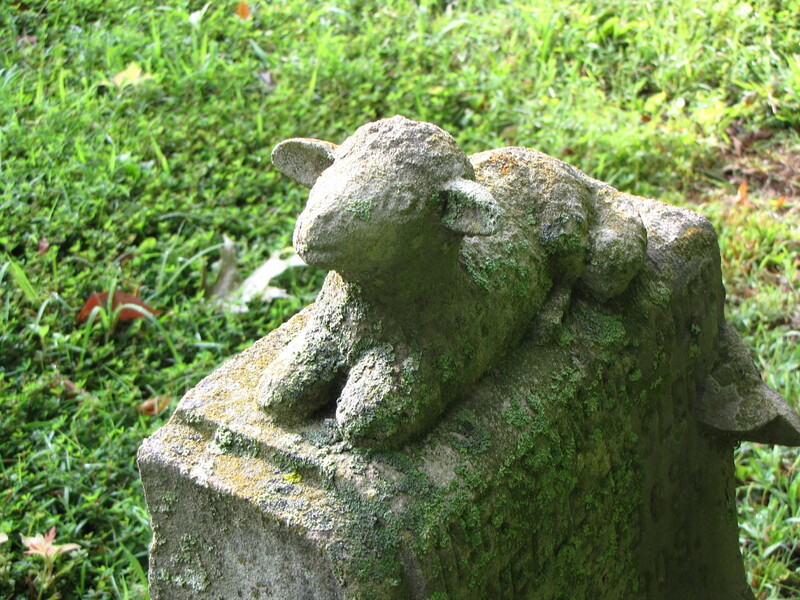 But the lamb on the gravestone of an infant named Nellie in the Simpson’s Chapel Cemetery south of Bloomfield, Indiana, is raising its head up, eyes wide open, as if it is looking at the passersby. 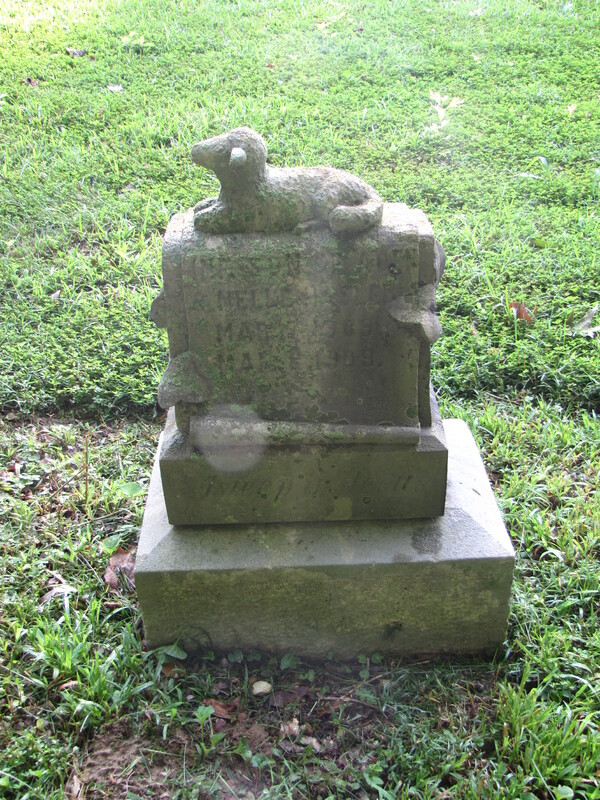 The lamb on Nellie’s gravestone, who died and was born in the same month in 1909, is aged and the light gray soft marble has eroded and gives the lamb the texture of a stuffed animal, soft and cuddly. The lamb, alert and bright eyed, looks like it could stand up at any moment and leap from the top of the stone. The lamb is the symbol of the Lord, the Good Shepherd. It also represents innocence, likely the reason why this motif usually adorns the tombstones of infants and young children. Most often the lamb is lying down, often asleep and sometimes with a cross behind the lamb. This entry was posted in Children's Graves, Symbolism. Bookmark the permalink.